The Full Speed Ahead Orbit ZS is the do-everything of Full Speed Ahead’s internal standard line. The Orbit 1.5 ZS features an oversized, 1.5″ lower headset cup for use in tapered headtube situations. 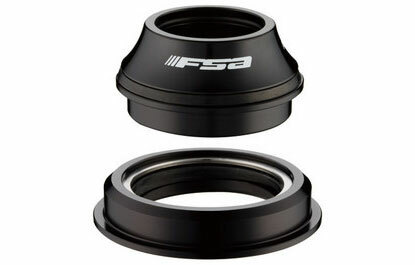 It features an alloy top cover and 36/45 degree angular contact bearings. The Orbit ZS features deeper cups than the comparable Orbit Z and has a stack height of 20 mm. Weighs 144 grams.